Fort Langley is a small historic village in British Columbia with less than 3,000 people, and was actually the first European settlement on the lower mainland of the province. 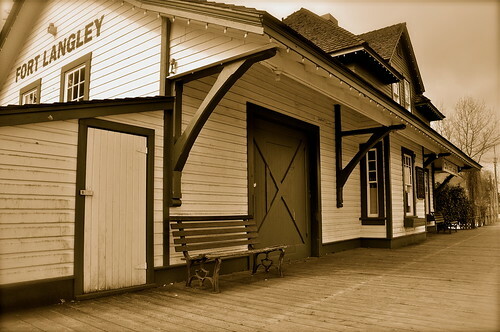 Today, the village is home to the Fort Langley National Historic Park, and is located about 56 kilometers (35 miles) from Vancouver on the south side of the Fraser River. It can be reached by taking the Trans-Canada Highway and following the Fraser River along its south shore. Fort Langley was once a trading post for the Hudson’s Bay Company, and its fort was built in 1827. It was also in the Big House in Fort Langley where British Columbia was officially proclaimed a crown colony. The fort with its wooden palisade has been restored and the buildings are open daily to the public. Many of the village’s other old buildings have also been renewed with the village’s rural setting re-emphasized to attract tourists drawn by historic, small towns. Besides the fort and the village’s two museums, Fort Langley is a great place for outdoor recreation. Its access to the river and mountain vistas make it perfect for hiking, jogging, cycling, horseback riding, canoeing, and fishing. There are also has art galleries, farms, and wineries in and near the village. Many Vancouverites enjoy spending time in Fort Langley or the surrounding fertile Fraser Valley and its parklands and mountains on the weekends to escape the city.